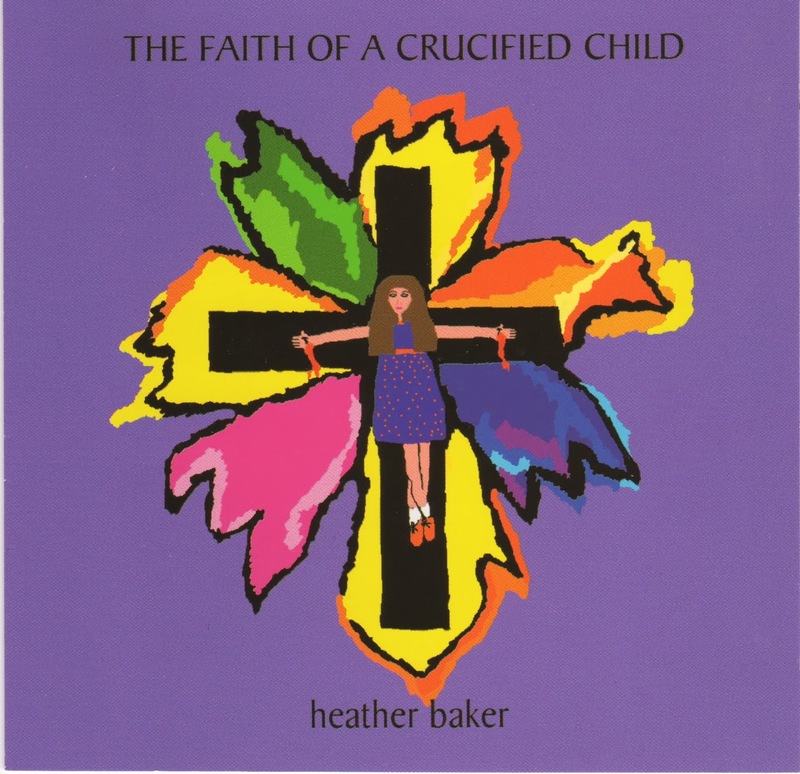 Heather Baker—the main character in the original fairy tale The Girl Who Couldn't Sing—released her first CD, The Faith of the a Crucified Child in 2000. Heather Baker has produced a unique CD of musical sounds & textures, that takes the listener on a ride, to what seems like other worlds, far far away. 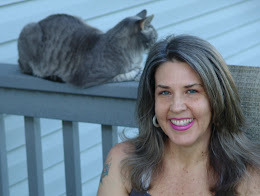 Like Dorothy's Emerald City, Heather Baker's world is wherever we want it to be, in a dreamy land far beyond our daily lives, or up close and personal, touching us deeply inside. The synthesized sound scapes are the perfect vehicle for her haunting vocals and lyrics. Refreshingly honest, they portray the emotional complexities of real life. There are no easy answers here, in fact there are no answers at all. 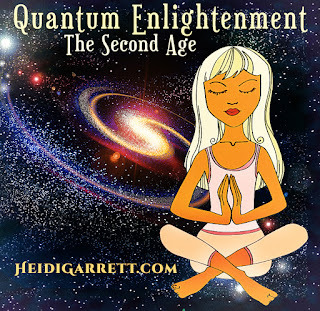 Heather's musical journey is one that you must hear to fully understand. Man. This album is nothing if not intense. My initial reaction to this CD was reminiscient of the Seinfeld episode where, after listening to George unload his darkest secrets, a stunned Jerry pauses, takes a step backward, and says "good luck with all THAT." I will admit up front that I'm not a huge fan of electronica music. I typically find it too sterile, too repetitive, often too self-indulgent. Or was that jazz? (j/k!). 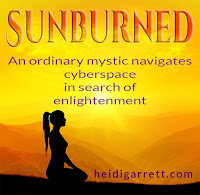 What I am a fan of, though, is the computer and the opportunities and access it has afforded artists such as Heather to express themselves in ways not possible less than a decade ago. I guess we have Beck to thank for that. It is against such backdrop that I review this CD. The subject here is clearly and unambiguously divorce, specifically the havoc that divorces can wreak on children. It's honest, it's brutal, it's in your face. Maybe a little too honest. More on that later. First, the music. 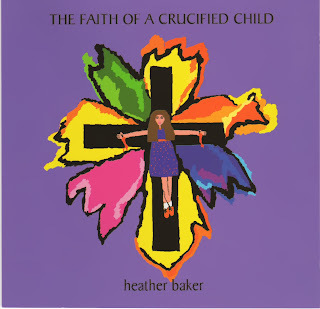 As an earlier reviewer noted, Heather's voice is very reminiscant of Dolores O'Riordan, and in fact, the music itself is somewhat Cranberries-esque. At times the arrangement steps over the voice, at other times the opposite. I could personally do without some of the odd phrasings, but she doesn't go overboard. The voice is there, and it has a lot of potential. The artist bio noted that Heather put down her guitar "out of respect to all the guitar players much more talented and gifted than herself". Apparently, she doesn't consider herself to be a worthy musician, at least not as far as the guitar is concerned. While I've never heard her play, I would respectfully suggest that she reconsider this decision or at least find one of those "talented and gifted" individuals to work with her. But enough harping about the music - the lyrics are clearly the star here. As noted, Heather holds nothing back. These are some tough words to listen to, and they must have been doubly tough to write. Certainly not every divorce is quite this painful, but anybody who's been through one will recognize the lies and betrayal inherent in the process, while anybody who hasn't will be glad they avoided it.